Moving is a stressful process and worrying about your personal items being broken during the process only adds to the stress. Moving insurance is available for that exact reason! Before you begin choosing a moving company and purchasing moving insurance, it’s important that you understand the ins and outs of the moving insurance itself. Nearly all moving companies offer valuation at no added cost. Valuation is a liability limit set by the company that has no direct correlation to the actual value of your belongings. To find out what the valuation of a moving company is you should take a close look at the contract before signing. The value of your belongings is calculated using a specific price per pound of goods involved in the move. 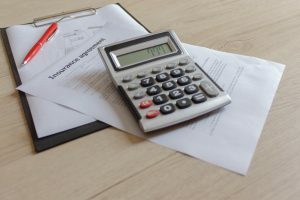 That price per pound will calculate the maximum amount that the movers will be liable to cover in the case of damages. What is Lump Sum Value? Lump sum value comes into play when you have valuable items that don’t weigh much, meaning declared value wouldn’t be enough to cover their cost. This allows you to cover a certain amount per cost of your belongings in the case of damages. Full protection covers all of your lost or damaged goods during the move. Typically, the moving insurance will state a minimum amount to file a full protection claim on your items. This insurance tends to be pricier, but full protection means having no worries during the moving process. To assess the value of your goods you need to know what you have. To begin this process, create a list of all of your valuable or sentimental items. This could include electronics, furniture, artwork, appliances, and more. As you create your list, take photographs of the current state of the items. Next to each item on the list write an approximate value and weight, this will help you compare coverage options at various moving companies. Finally, total up the value and weight of all of your items to assess the total value. Before signing a contract with a moving company, review it thoroughly. Compare their maximum liability amount listed to the total value of your items to determine if you need to purchase additional insurance. Be sure to review the process of filing a claim as well. Many companies include a time restraint on how long you have to file a claim, knowing that time frame before making your move is vital. Are you ready to schedule your moving appointment with All Day Moving? Give us a call today at (978) 682-2040.